Description SRT8 trim, Bright Silver Metallic exterior and Dark Slate Gray interior. $1,000 below NADA Retail! Heated Leather Seats, Bluetooth, Multi-CD Changer, Keyless Start, Satellite Radio, 6.1L HEMI V8 ENGINE, 5-SPEED AUTOMATIC TRANSMISSION W/AUTO... Premium Sound System, Aluminum Wheels. READ MORE! Leather Seats, Heated Driver Seat, Premium Sound System, Satellite Radio, Bluetooth, Multi-CD Changer, Keyless Start, Heated Seats, Heated Leather Seats Rear Spoiler, MP3 Player, Aluminum Wheels, Remote Trunk Release, Keyless Entry. 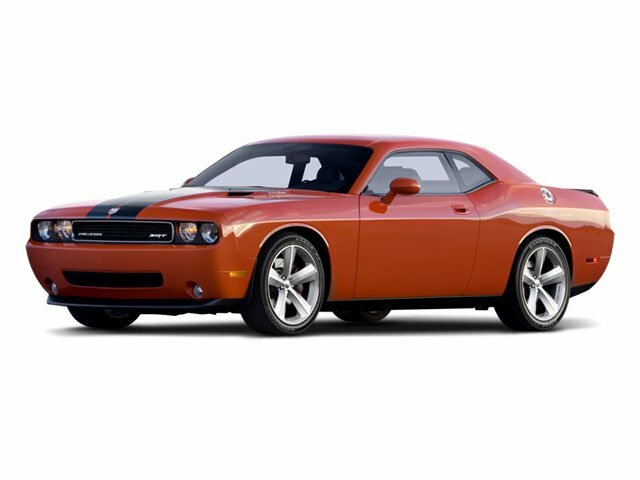 6.1L HEMI V8 ENGINE (STD), 5-SPEED AUTOMATIC TRANSMISSION W/AUTOSTICK (STD). Dodge SRT8 with Bright Silver Metallic exterior and Dark Slate Gray interior features a 8 Cylinder Engine with 425 HP at 6200 RPM*. Edmunds.com explains "comfortable ride, spacious rear seat, generous cargo capacity". This Challenger is priced $1,000 below NADA Retail.